At Shop4 Martial Arts, we love to discover new brands that bring that something exciting to the wardrobe of martial artists, and since appearing on the scene a year ago, teasing us with glimpses of artwork, we’ve been following Birmingham-based RAIJIN FIGHT WEAR with great interest. Combining street art with martial arts, Raijin Fightwear are keen to put their own unique stamp on the world of martial arts apparel and have done so with a bang, launching their online shop featuring BJJ and Muay Thai designs on their website. We got in touch with Raijin Fightwear to ask them a few questions about how they created their brand and their plans for the future. Please can you introduce yourselves? LOZ : Hi guys. Firstly thank you for this opportunity, I’m LOZ I am one half of Raijin Fight Wear. Gully : Hi I’m Gully Elusive. That’s not my real name by the way! It’s my street art/graffiti alias. The local government and other establishments frown up on the type of art I do and so it’s important for me to protect my identity. 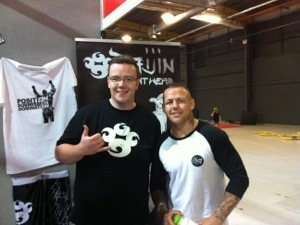 I am the other half of Raijin Fight Wear, co-founder and co-director along with LOZ. What is your background in martial arts and do you currently train? LOZ : I originally come from a Muay Thai background. My training first started at a Muay Thai academy in Aston, North Birmingham, when I was in secondary school. My training was great and I was pretty good at it but I became arrogant so I left when I was in my late teens. I moved into the security industry and looked more into functional martial arts after reading Geoff Thompson’s ‘The Fence’ and ‘Watch My Back’. I returned to Muay Thai and to the K-Star Academy and worked my way up to become an instructor. I taught there for a few years with non other than Muay Thai World Champion Damien Trainor under the support and guidance of Steve Logan. After a long search I found out Mauricio Gomes (Roger Gracie’s father) had moved to Birmingham and I started my training in BJJ. After Mauricio moved to London he left Andy and Barry in charge for a few years until a hot shot brown belt named Braulio Estima arrived. I trained as much as I could but I was around the country working different venues and contracts so I struggled to stay consistent. I stayed friends with the guys and rolled with Braulio when I could. In 2004 I moved to Bangkok with Damien Trainor and over the next four years I spent most of my time there training. In 2008 I returned home but I became frequently unwell. I had a form of cellulitis that attacked my calf and in the end left a hole four inches in length. I was very depressed for a long time and I put on a lot of weight. A tweet from my old friend Braulio Estima woke me up though, he offered me a trial at his new academy. From that day I’ve been working hard with Braulio and the instructors to regain my health and confidence. Right now I’m a Blue Belt under Braulio and I’ve won a few medals along the way. I’d like to shout out Professor Nowak for always pushing me and giving me the confidence to push myself. Gully : I’ve always been a fan of martial arts, I grew up watching Bruce Lee films and when I was a little older I got into mixed martial arts after seeing Royce Gracie on UFC like many of us. 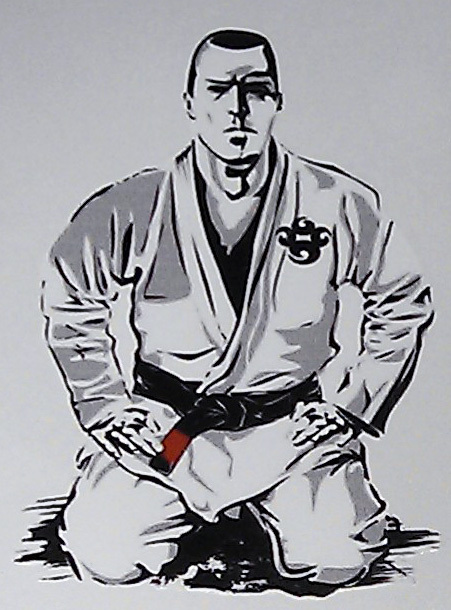 Brazilian Jiu-Jitsu instantly appealed to me due to its effectiveness against larger opponents as I’m only short myself. I love standup too and after watching Tony Jaa in Ong Bak I decided to join a Muay Thai gym that ran weekly BJJ classes in my late teens. I moved around a lot during my early 20’s but where ever I was living I would find and join the local martial arts gym. My training focus has mainly been Boxing, Muai Thai and Jiu-Jitsu. At the moment I’m currently in between gyms and out of training due to a shoulder injury. I’m relying on my older brother, who is a pro MMA fighter, to help me keep my skills sharp and stay fit. LOZ : Graffiti has always been a love of mine and I discovered Gully’s art through his pastes on walls around Birmingham and then started following him on Instagram. Through friends and acquaintances we met up and started talks about some design work. Gully: LOZ first approached me on Instagam to commission me to do a piece of artwork for him having really liked a sketch I did of a boxer. He asked me to create something more MMA/BJJ related and I told him I was a massive fan of both and we just started chatting from there. What inspired you to start Raijin Fight Wear? Gully: When LOZ asked me to create an MMA/BJJ piece of artwork for him I told him I had done a few pieces before, being a fan and all, and started sending him some of these sketches. He really liked them and said I should put them on T-shirts! I always wanted to set up my own apparel company but didn’t know how to go about it or what avenue to take so when LOZ suggested doing a couple of walkout t-shirts for his fighter friends I was more then down. It progressed naturally from there. LOZ : Yes we initially talked about doing walk out tees for fighters and then we looked at other brands. The majority of the designs we saw were generic and felt we had something unique to offer so we thought “hey why not!”. 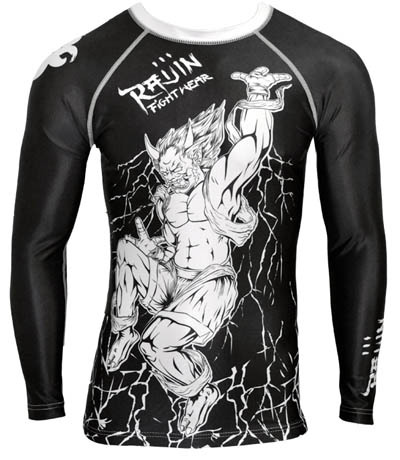 Raijin Fight Wear is a striking name, how did you come up with it? LOZ : We were putting names around and my ideas were influenced by my interest in Asian mythology since the old days of watching Monkey Magic, reading Anime and watching Manga movies. We wanted symbolism, a figurehead that could forefront the brand and the Japanese God ‘Raijin’ came to mind. I loved the way he is the God of thunder and lightning and I also knew that Gully could do something very cool with his interpretation. Gully: When LOZ told me the name Raijin and the meaning behind it I was instantly drawn to it. I too grew up watching Manga and reading Anime/ graphic novels and knew my style of these forms would fit perfectly for the branding. What sets you apart from other brands out there? LOZ : We are not a brand put together by some guys in a suit who want to cash in on martial arts, what makes us different is that it’s not only about the passion of our sport we are getting across but also the passion of the art. There are lots of unknown street and graffiti artists out there who are incredibly talented and we want to showcase them in a non generic way by doing something different. Gully: But not just Graffiti and street artists, we are also looking to pull our other interests into the brand as we are currently collaborating with a tattoo artist who has previously designed for UK brand Jilted Royalty and local musicians/ producers for video sound tracks. As well as the unique designs I feel we offer great customer service. We’re a grass roots company that started at the bottom with only the change in our pockets. We have gotten to know our audience and have built a loyal following. Something we will never lose sight of as we grow. What sort of ranges do you have lined up? LOZ : We are street wear inspired, we want to bridge the gap between sports wear and street wear. For that we have a casual range for the person who wants to have a design they can wear in the street and the gym. 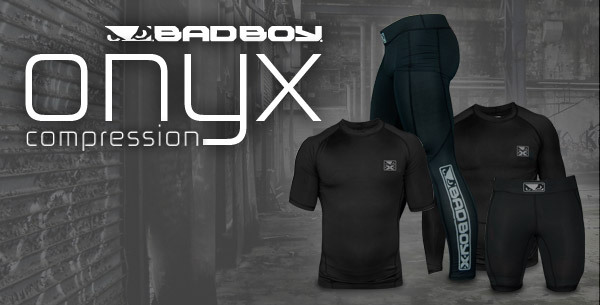 We also have a performance wear range specially for the gym and the academy with our rash guard which is available now, our grappling spats which we are currently testing and we’ve just started working on a Gi for 2014 release. I believe you’ll also be having a female range too? LOZ: Yes! It’s something we are really passionate about because women’s MMA clothing is just men’s designs thrown onto a women’s tee. We have two amazing female fighters who are working with us to develop the range to make sure it’s both aesthetically pleasing and functional. Gully: Designing for women is new to us and we don’t want to patronise them by just painting everything pink so were taking our time and listening to our demographic. We don’t want to alienate our audience so once the range has launched we may get a few of the designs printed on men’s sizes if the interest is there. What type of consumer are you aiming for? LOZ : Honestly we are looking at the person who appreciates the designs. Some of our designs have subtle aspects of MMA and BJJ inspiration, our aim is not to throw it down your throat but to look over while passing in the street and give that nod that says “yeah, I get it”. Will your brand be available directly online only or in other online stores and bricks and mortar shops? LOZ : At first we want to keep the designs on our own store unless something interesting can come along, the thought behind this is that we want to develop this brand with the consumer so we will be watching where the trends are and asking what more do they want. 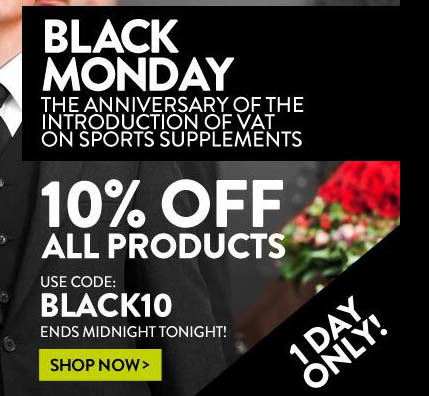 I believe you sponsor a number of fighters/athletes, can you tell us more about them? LOZ : Yes of course, we call our fighters the Raijin Army and the team is made up of some outstanding individuals with so much passion. We’ll start with the ladies; Nicholle Stoller and Hannah Victoria. 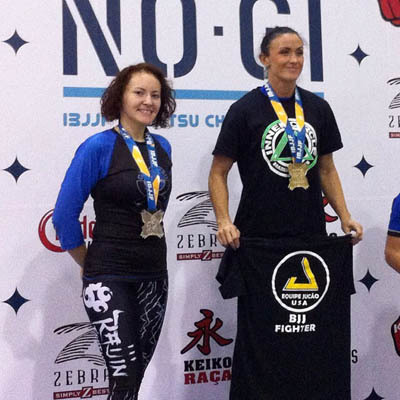 Nicholle is from Tennessee and trains under Shawn Hammonds, she is an outstanding Blue Belt BJJ competitor medalling in every competition she has entered. 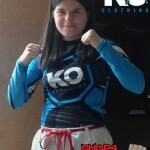 Hannah Victoria trains with me at Braulio’s academy and she is a rising star in UK BJJ. We have five guys we are working with: Paul Cole, James Samuda, Drazan Macan, Philip Hearn and Tim Rowley. James and Philip are fighters who had great starts in MMA but had some trips and falls along the way; James had many opponents drop out which frustrated him and Phil has been a little unwell recently. James recently returned to the cage with a massive win at Fight UK MMA 9, he was the underdog but won with some ferocious elbows which made his opponent give his back to which James sunk in the choke. Philip is a brilliant striker who has started to add BJJ to his arsenal and he has been working hard in the gym in preparation for his return at the end of the year. Paul, Draz and Tim are all BJJ fighters who are strong competitors. Paul is a black belt under Victor Estima and has his own Gracie Barra in Sutton-in-Ashfield. He is an outstanding BJJ competitor who has fought and won across the UK and then moved into submission only events in the USA. Draz is an individual who trains out of Roger Gracie Bucks. Tim is new to the sport as a white belt but is quickly making a name for himself across the UK. All of the members of the team are professional and passionate about the brand and test all our products for quality. Will you be attending any expos in 2014? Gully: So far this year we have attended a few expos and lots of fight shows. We exhibited at the first ever MMA Expo in Manchester, England and the love we got was phenomenal! We also exhibited at our good friends show 8 Limbs Muay Thai where we released our Ramon Dekkers tribute tee, it was very well received. 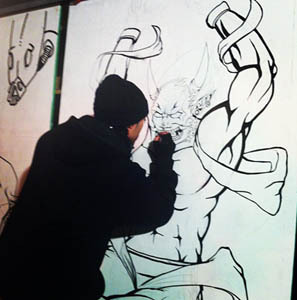 LOZ : Along with MMA and BJJ shows we attend street art shows to meet new artists and plan for collaborations along with showcasing designs to get feed back from influential experts in the community. What do you plan to achieve with Raijin? Do you plan to go global with your brand? 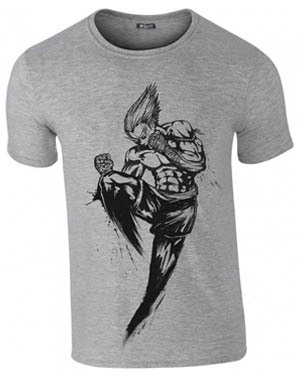 LOZ : We want to make a change in how people think about martial arts inspired clothing. Like I said some designs are subtle influences while others have a direct message and inspiration for competitors. Do we want to go global? Yes, I’d love to see our clothing worn by an arena full of people but we are realistic and know that’s way off. Our goal right now is to launch fully and get our products out there. We will be launching a standard range and some limited edition one time only items. I don’t want to give too much away so you’ll have to keep an eye on our social media platforms for offers and sneak peeks.